Think theatre, and you will probably think Prithvi. Think comedy, and your mind will automatically think Canvas Laugh Club. But what if we told you that there is now a venue that has a little bit of a whole lot of things. We are talking about Adagio, the latest addition to the city with two branches. Adagio means 'at ease' in Italian, and that’s the philosophy that the founders here stand by– to appreciate art in an analogue manner in this age of digital overdose. With this space they want to create an environment that enhances understanding of art, especially music. 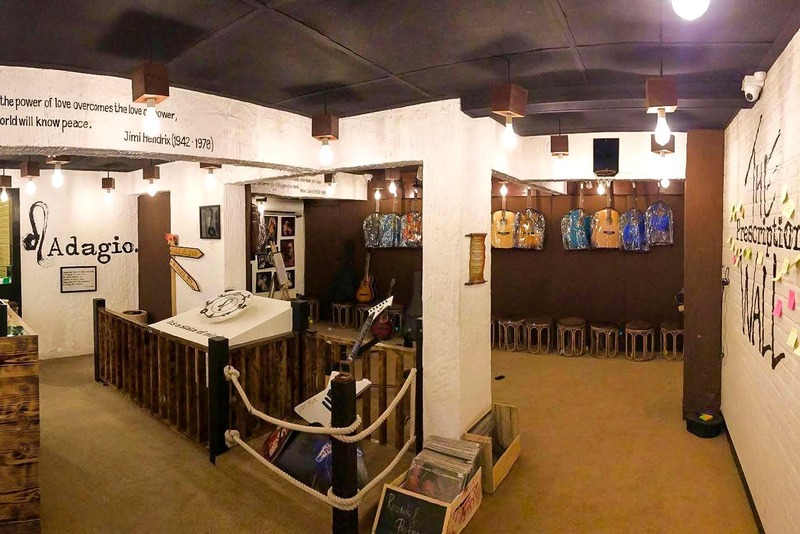 And that’s why the most striking element at this space is their guitar boutique – a space where you can choose your guitar from their thorough collection that has been handpicked by the musically sound people of Adagio. They also hold guitar classes, and the venue doubles up as a performing space for musical events. Additionally, they even are a co-working space which is apt for the creative lot who loves thinking out of the box. And they, as expected, also have a library. Adagio is even a yoga centre, and they welcome budding and seasoned comics to perform at their venue too. We told you, this space is everything packed into one. They have comedy nights every Monday, and on Thursdays they invite people to listen to classic albums on vinyl records, at the 'Vinyl Listening Sessions'. For all other days, keep a tab on their social media handles to stay updated. They have a lot to offer. We strongly recommend visiting them with an open mind for you to be blown away by the plethora of things they do.